Nancy Macan McNally is a leading member of the firm’s government relations team. Her practice focuses on developing and managing government policy programs for Fortune 500 companies, municipal entities, trade associations, and national coalitions in the healthcare, energy, environment, natural resources, and transportation sectors. Nancy’s more than 30 years of experience includes working with clients to design, implement, and manage legislative and public policy strategies, and advocating on behalf of firm clients before Congress and federal agencies. She has substantial knowledge and experience in the areas of legislative strategy, grassroots and media initiatives, direct lobbying, public education, and coordinating comprehensive lobbying efforts among multiple organizations. 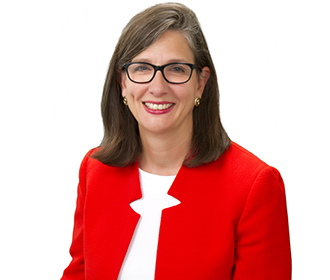 Nancy serves as the managing principal of the Washington DC office, is a member of the firm’s Executive Committee, and is a board member of VNF Solutions. Represents the only cloud-based provider of electronic health records on federal legislative and regulatory policy issues. For more than two decades, represented McKesson Corporation, the world's largest healthcare services company, on a wide range of healthcare policy issues before Congress and federal agencies, helping to build a world class public affairs department and worked to develop and execute legislative and regulatory strategies to improve the quality, efficiency and cost effectiveness of our nation’s healthcare. Serves as a senior advisor to the National Endangered Species Act Reform Coalition (NESARC) after serving as Executive Director from 1991-2016. NESARC is the only broad-based national coalition devoted to seeking legislative and regulatory improvements to the Endangered Species Act. As Executive Director, Nancy was responsible for developing and implementing legislative and public relations strategies and coalition management. Represents Sonoma County Water Agency (SCWA) on appropriations and environmental policy issues before Congress and federal agencies. The firm assisted SCWA with the establishment of the Pacific Coastal Salmon Recovery Fund and has successfully secured appropriations for the Fund in each of the past eighteen years. In addition, the firm works with SCWA on ESA-related matters, assisting the client in implementing a biological opinion for endangered salmon and steel head populations in their watersheds. Represents the International Bottled Water Association on a wide range of federal policy issues that affect bottlers, suppliers, and distributors. Served as Deputy Executive Director of Consumers United for Rail Equity (CURE), a national coalition seeking improvements to federal rail policy. Represented a coalition of public utilities on federal legislative issues, including energy, environment and tax issues.